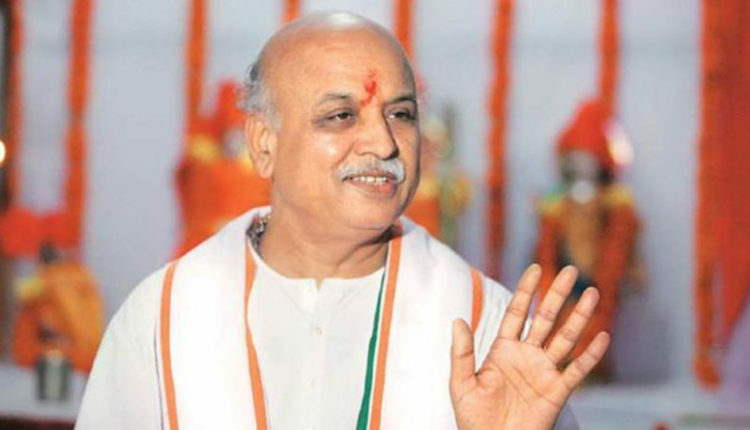 Former Vishwa Hindu Parishad leader Pravin Togadia on Saturday launched his own political party, HinduSthan Nirman Dal (HND), at the Indira Gandhi Indoor Stadium in the national capital just months ahead of general election in which it wants to contest from all the Lok Sabha constituencies in Uttar Pradesh and Gujarat. Announcing the formation of the outfit in the presence of his supporters and well-wishers from across the country, Togadia said he would contest from Ayodhya. "Ab ki baar, public ki Sarkaar", he declared amidst chants of Jai Shree Ram, and said if elected, the construction of Ram temple will start within no time. Saying that this was "no fake promise, but reliable resolve", he said the HND stands for Hindusthan's progress, prosperity, safety and dignity. Other than Ram Temple construction, HND would work for rehabilitation of Kashmiri Pundits, strict action against border infiltration and passing of a Population Control Law & work on Common Civil Code. For the agriculture sector, HND promises full loan waivers for farmers and implementation of the Swaminathan Committee recommendations, and employment for the youth. The party will also give priority to women's safety.